The company that operates Nottingham’s tram system is tens of millions of pounds in debt, according to its most recent accounts. 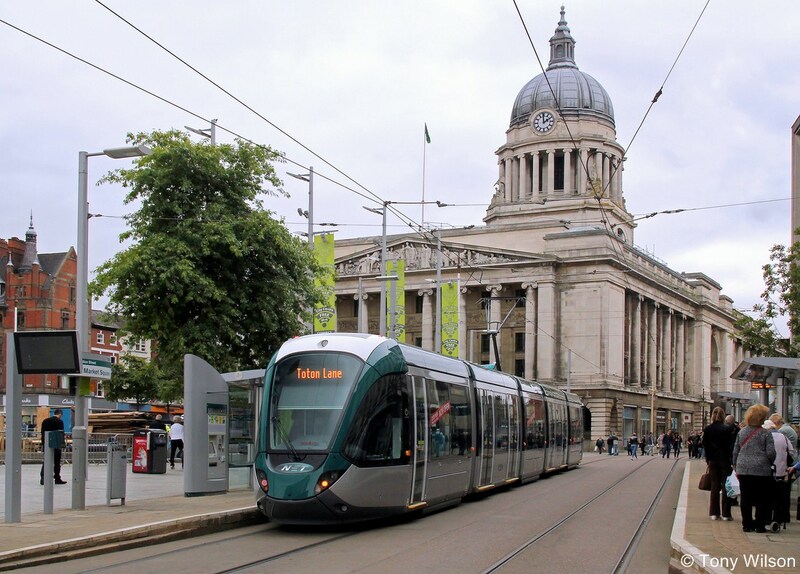 Tramlink Nottingham, which holds the contract from Nottingham City Council, has gone deeper in the red after losses increased from £15m to £48.5m in the year to March 31, 2017. That is despite its turnover increasing from £44.5m to £60.6m during the same period, which covers the first full financial year since the £570m project - paid for using private and public funds - to extend the network, with two new lines opening in August 2015. But the group said that its net debt has been reduced by £4.8m during the same period and it remains on course to pay this off by the end of its contract in 2034. Passenger numbers have increased from 11.5 million people to 15.34 million between 2016 and 2017. Tramlink is a Private Finance Initiative (PFI) concession, where private firms manage public projects, with the investment paid back over a set period of time. A Tramlink spokesman said: “The company’s turnover rose from £44.5m to £60.6m during the year ending March 2017, reflecting the first full year of operations since the extended tram network opened on August 25, 2015. “We were delighted with this positive response from the travelling public who have also enabled passenger numbers to further increase during the current year. “The nature of Private Finance Initiative (PFI) concessions is well-known and it is recognised that during the early years of any concession the project carries a high level of commercial debt reflecting the front end cost of construction of the new infrastructure. The accounts show that gross profit increased from £7.2m to £13.3m between 2016 and 2017. But an item referred to as an “exceptional impairment charge” – not explained in detail – resulted in £28.2m losses. Total operating losses of £17.26m and £31.36m interest payments resulted in an overall loss of £48.51m. Should Tramlink fail to meet the terms of its loans, lenders could demand immediate repayments. In a statement accompanying the accounts, Tramlink director Peter Richardson said: “The company’s principal risk is revenue risk relating to fare box and concessionary sales. “The income from these sales forms part of the expected cash inflow over the life of the concession. 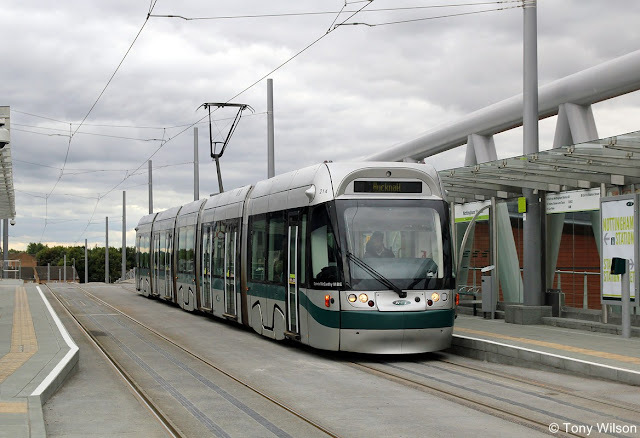 Tramlink is the consortium that won the 22-year contract from Nottingham City Council in December 2011 to build the new extensions to the city’s tram network and operate the entire completed service under the NET brand. It is made up of various partners, including global names Vinci, Alstom and Keolis, as well as Wellglade – owner of bus operator trentbarton. While no one actually works for Tramlink, it has a board of directors representing its shareholders and is run by Fulcrum Infrastructure Management – part of its largest investor Meridiam – which provides six permanent staff and back office support functions. Across the entire network, there are about 290 employees, including drivers, travel officers, customer services advisors, infrastructure cleaners and administrative staff. The group owns 37 trams – split between 15 of Bombardier’s Incentro models that were introduced at the launch of the original tram line in 2004 and then 22 Alstom Citadis vehicles brought on board in 2015. Its turnover shot up from £22.5m to £44.5m between 2015 and 2016 after the lines connecting Nottingham railway station with Toton Lane and Clifton South – expanding the network by 17.5km – opened on August 25, 2015. This led to Tramlink being the highest riser in the Post’s 2017 list of Nottinghamshire’s Top 200 Companies, jumping up by 83 places to 69 position. A city council spokesman said: “We’re pleased with the performance of the tram operator, which has attracted more passengers and seen an increased turnover since the system was expanded. “We have robust arrangements in place which mean that over the course of contract, liabilities rest with Tramlink and it receives payments from us for running services to a set of performance-related targets.